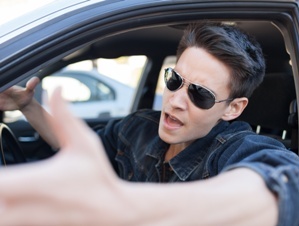 What is the difference between aggressive driving and reckless driving? Engaging in unsafe behaviors such as speeding or improper passing can earn you a ticket for either reckless driving or aggressive driving, depending upon the intent behind your actions. Essentially, aggressive driving encompasses what we colloquially refer to as road rage. The behaviors that will earn you an aggressive driving ticket are similar to those that qualify as reckless driving, but aggressive driving requires the intent of threatening behavior towards other motorists. Aggressive driving with the intent to injure another person is considered a Class 1 misdemeanor. A Class 1 misdemeanor carries the penalty of jail time for not more than 12 months and/or a fine of not more than $2,500. If no one is injured, the offense is a Class 2 misdemeanor. A Class 2 misdemeanor carries the penalty of jail time for not more than six months and/or a fine of not more than $1,000. In addition to fines and jail time, offenders may also be required to complete an aggressive driving program. Since aggressive driving requires a specific motivation on the part of the driver, defense attorneys often argue that the driver's conduct was due to inattentiveness or impatience instead of maliciously attempting to injure, obstruct, harass, or intimidate other motorists. If this defense is successful, the charge may be reduced to a lesser traffic violation or dropped all together. Having legal representation is essential if you've been charged with aggressive driving, since a conviction can result in stiff penalties as well as the stigma of a criminal record. Virginia attorney T. Kevin Wilson has extensive experience in helping drivers beat both aggressive driving and reckless driving charges. Call today to schedule a free, no-obligation initial consultation. If I Am Convicted of Reckless Driving, Am I Going to Be Put in Jail? What Happens If the Charging Officer Doesn’t Show Up to Court for a Reckless Driving Offense? Is Drag Racing a Form of Reckless Driving?